Although many plus-size models such as Ashley Graham, Tess Holliday and Denise Bidot are changing the game in the industry and empowering people to accept themselves as they are, many overweight women still feel insecure in their own bodies. That is why one department store has teamed up with five renowned body advocates to let it be known that there is a true beauty in individuality. 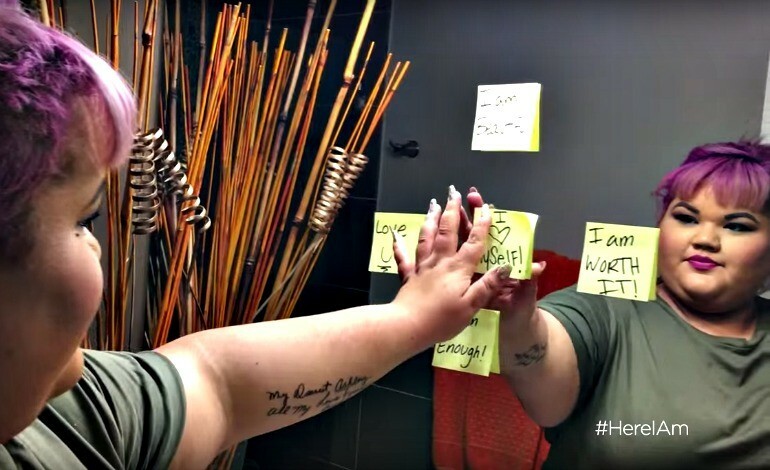 Famous retail store JCPenney has launched a new campaign called "Here I Am" with the mission to get everyone one step closer to body positivity. The company has invited best-selling author Jes Baker, Grammy-nominated artist Mary Lambert, fashion blogger Gabi Fresh, fashion designer Ashley Nell Tipton, and yoga practitioner Valerie Sagun to exemplify the spirit and beauty found inside everybody, regardless of what everyone's size is. All five girls share their motivational story in a nearly four-minute long video ad. "Would my life be better if I were thinner? No. But it would be better if I wasn't treated so poorly because I'm not," said Baker, author of "Things No One Will Tell Fat Girls," at the beginning of the clip. Each girl expressed how they grew up wanting to be thin due to mean comments by family members or being bullied in school. "I was a target for people to make fun of and bash," said Tipton, a designer and fashion reality show winner. "I didn't know what was wrong with me.. like, why was I so different?" Despite their insecurities at a young age, Baker, Lambert, Fresh, Tipton and Sagun each learned how to embrace their outer beauty and today have become fierce body advocates for other women. "The only person who should be defining me is me," states Tipton before the ad sends its powerful message that "fat girls" can do anything and everything they please! "Fat girls can do whatever they want! You can do yoga, you can do rock climbing. Fat girls can run, fat girls can dance, fat girls can have amazing jobs. We can be on the cover of magazines, wear stripes," say the girls in the vibrant ad. Powerful and meaningful messages such as "my size isn't an indicator of my worth," "the body doesn't need to change, the attitude does" and "loving yourself is not a destination, it's a journey," wrap up the "Here I Am" campaign ad. Jessica L. Roiz is a Miami-based bilingual journalist of Nicaraguan descent. In addition to Latin Times, she's published in VOXXI, The Miami Herald, Huffington Post, La Opinion, El Nuevo Herald, The Latin Kitchen and more. With over 10-years experience in digital media, she's nothing but passionate and creative with her work. When she's not writing or editing videos, she can be found listening to rock en Español, dancing bachata, reading Paulo Coelho, missing Selena Quintanilla or relaxing in Nicaragua. 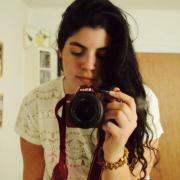 She's also the founder of ALoNica con la Roiz and PulsoPOP. Love Letter From Selena Quintanilla To Chris Perez Gives Us The Feels!